Ground transportation in Salt Lake comes in a wide variety of options. Many hotels offer complimentary airport shuttle service. 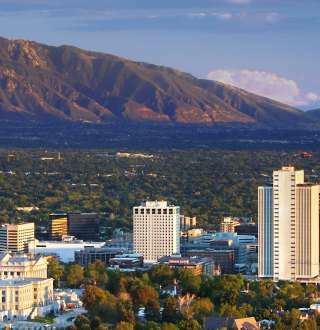 Utah Transit Authority (UTA) provides mass transit via busses and TRAX light-rail from the airport and throughout the Salt Lake area, including the mountain resorts. Taxi, bus, shuttle, and limousine companies provide door-to-door service to the destination of your choice. If you choose to drive, the downtown parking app makes it easy to get around.